Cheers tap heads! As falls is upon us, one thing we can promise is not to be one of those basic podcasts that just drink pumpkin beers. 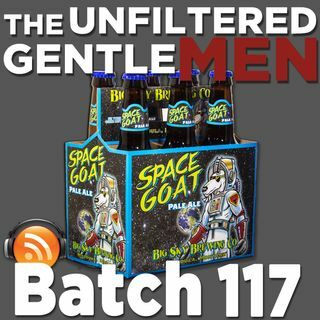 Our Beer of the Day is Space Goat Pale Ale from Big Sky Brewing in Missoula, Montana. Greg has a big grievance to share with one of his favorite breweries and talks about his night out drinking with the enemy (Booze League), and Dan is extremely upset with the NFL and all their contractual antics. For our Bullpen Beer, we play a round of "Will Scott Pour ... Más informaciones it Out?" with Garage Brewing's Marshmallow Milk Stout. But this one may backfire on Greg. Inspired by a news story of a drunk woman falling out of a truck, the gentlemen share some of their best drunk injury stories. In Booze News: Oregon wants to give beer refills, a drunk man is mowing stranger's lawns, a drunk Brit gets stuck in a precarious place, and more! We also share disgusting hangover cures and which ones we have tried. Let us know what works for you! Our Beer Babe of the Week is @that_first_sip, make sure you give her a follow on Instagram! Old Timey Word of the Week: "Sneaksby ”. Use it in a sentence on social medias for a shout out!